Remains of the Maginot line, France. Tomorrow, April 30, marks the day that Hitler and his new bride committed suicide. There in their bunker in Berlin the horrors inflicted upon Europe began to end. Six years of war in Europe were coming to an end, the sun would shine again. Never before had the expression "Hell on earth" been more true. This one man started the "German Revolution" that eventually caused the death of 24 million soldiers and 45 million civilians including one of every three Jews on the planet. Tomorrow marks the day that was the beginning of the end and a new light for mankind. We must never forget and we must never stop studying history. One of the many historical lessons from this period is the inaction at the beginning of the war that could have actually prevented the war. Germany had begun too soon. Hitler went against the advice of his generals and he began the war when he knew that Germany was nowhere near ready. But the French were ready, but they did not act, because they were afraid. The French lost one million soldiers in World War One and now they were gun shy. The British too did not act. Between the French and the British there were 110 divisions facing 23 German divisions, so how did Germany win? How did Germany conquer all of Europe, with the exception of Great Britain and so called neutral Switzerland, if they were outnumbered so badly? How did Hitlers not-yet-ready-for-war army succeed? The answer is simple; he had courage while others lacked it. He called their bluff. He knew that they would do nothing. So he marched while they sat. A golden opportunity was missed. Later on at the Nuremberg trials the Nazi generals said they did not have enough ammunition or supplies to last more than 2 months. But the allies did nothing. Seven or eight months passed, what became known as the Phoney War, and the window of opportunity was closed. By the time the allies reacted the Nazis Wehrmacht was quite ready. In less than six weeks Belgium, Holland France fell to the Blitzkrieg. Waiting and hoping things get better is not such a great strategy. As I always teach, if you wait and do not take action the problem will only get worse. You see violence all around you, you hear of college girls being raped, you hear of home break-ins and robberies and yet you do nothing, like the French in World War Two. And in the end you shall be conquered, just as they were, and will have to wait for a great power like the United States was, to come to your rescue. And now I get to my major point, the point of this short dissertation. The German army, the Nazis, the Wehrmacht caught everyone by surprise by attacking through the Ardennes Forest. It is a very thick forest area. The Allies generals repeated like a mantra that the region was impenetrable to massed vehicular traffic and especially armor. Therefore the Nazis could never attack from there. As such the area was effectively "all but undefended" during the war, leading to the German Army twice to use the region as an invasion route into Northern France and Southern Belgium via Luxembourg in the Battle of France and the later Battle of the Bulge. Unknown to most the French army had used the Ardennes Forrest for "military games". One tank unit attacked from the Ardennes forest and succeeded in getting through. In other words, long before the German attack the French themselves had proven that the area indeed could be used as route for attack, with tanks and heavy armor, and yet....the area was "all but undefended". 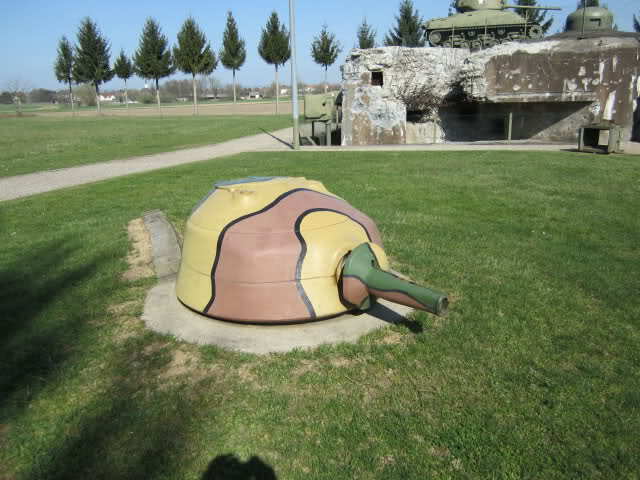 After World War One the French decided they needed to be totally prepared for another German attack. Therefore they expended huge efforts to build the famed Maginot Line, a series of fortifications that would stop the Germans until the French army could be mobilized. And indeed the Maginot Line would be perfect against a direct assault. But of course, no one would do that. Now if the French knew that the Ardennes forest was vulnerable why didn't they choose to defend it? What didn't they divert some of their forces to there? The answer is that they had invested so much in the Maginot Line they simply could not accept the fact that it was pretty much useless under the current circumstances. The Maginot Line cost them 3 billion French francs. 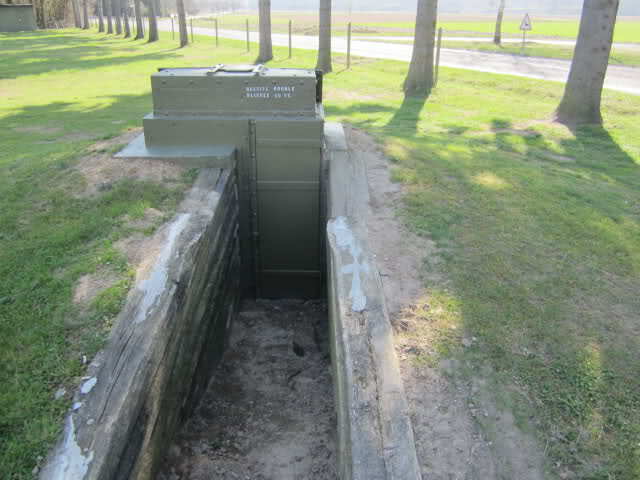 While the fortification system did prevent a direct attack, it was strategically ineffective, as the Germans invaded through Belgium, going around the Maginot Line. The German army came through the Ardennes forest and the Low Countries, completely sweeping by the line, causing the French army to surrender and conquering France in about six weeks. Basically the German army just went around the Maginot Line, leaving it perfectly intact for future generations of tourists. Just the other day I saw the Krav Maga application of this concept. Laizer was saying to me that what he loves so much about our approach is that we are constantly adapting, changing, adjusting and improving. We do not cling to old techniques that no longer work. He said that other styles feel so "invested" with their curriculum and techniques that they refuse to hear of any changes. But we are always open to change. And then it hit me; the other organizations are like the France in World War Two. To win we must keep adapting, adjusting, changing..that is what the British and the Americans did in World War Two and we owe them our freedom. Do not be caught unprepared, do not teach yesterdays' Krav Maga. With our on IKI On Line and IKI membership you will always be on the cutting edge of Krav Maga. What happens in Israel will be yours to see on your home computer.